A new smart themostat from Ecobee tries to have a more accurate take on automatic temperature adjustments, using sensors to figure out where people are. Like other smart themostats, Ecobee uses a motion sensor to detect when people are home, and adjusts the temperature accordingly. But that motion sensor isn't really useful if the thermostat sits in some rarely-inhabited part of the house. To solve the problem, Ecobee includes a remote sensor that users can place in any room. It detects both motion and temperature, and can make adjustments if the room tends to be warmer or colder than the rest of the house. While it can't adjust the temperature for individual rooms—doing so would require a pretty sophisticated HVAC system—it can adjust the whole home's temperature based on where people are. 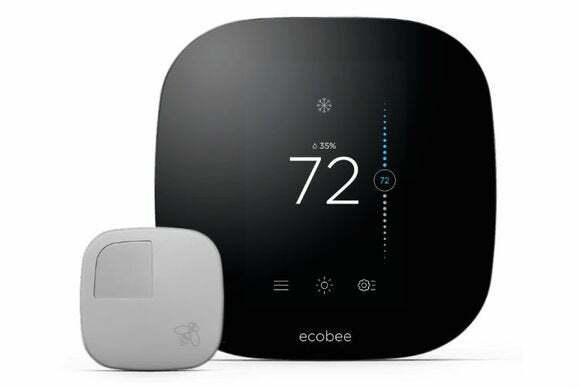 This is actually Ecobee's third-generation model, and it includes some other improvements over the previous versions, including a new design and capacitive touch screen controls. As with previous versions, the thermostat displays the temperature outside as well as indoors. The base model costs $249 and includes one sensor, but users can buy more sensors—up to 32 total—for $79 each. Ecobee is also offering a $15 discount if you buy three or more sensors. In a way, the system is similar to the Nest Learning Thermostat, which can use Nest Protect smoke detectors as remote motion sensors. But Nest's smoke detectors don't read the room's temperature, and at $100 for each detector, it's a more expensive solution. While Nest products work together in other interesting ways, they're not as focused on climate control as Ecobee aims to be.